Those of you who follow my postings know that I avoid most foods marketed as "low carb" and "sugar free" foods because they are so deceptively marketed. You have only to look at the latest fad food, Agave Nectar, to see the extent to which food companies will pervert science to make a buck. Agave Nectar is sold as being good for diabetics because it doesn't raise blood sugar. What they don't tell you is that it doesn't raise blood sugar because it is full of fructose which goes directly to the liver after you eat it and turns into the intracellular liver fat that turns out to be a major cause of insulin resistance. But I'm writing now to report on a low carb food that turns out to live up to the claims made for it, one that may be very helpful to many of us who are trying to keep carbs low. The food is the modified wheat flour sold in the form of Carbalose flour and Carbquik Baking Mix . The latter is a biscuit mix similar to Bisquik. You can see the nutritional information for it posted on the Netrition.com site: Carbquik Nutritional Information. I had been aware of these for years, as they are cited in many low carb recipes, but I avoided them as they used to contain soy protein and I don't eat soy protein because it has the ability to damage the lining of the gut allowing proteins into the blood stream where they provoke antibody formation and autoimmune attack. But it turns out that Tova, the manufacturer has removed the soy protein from these products, and the only soy in them is a small amount of soy fiber, which I can handle. I've been using these products for a month and am happy to report that they work as advertised. They have about 6 grams of carb per cup after deducting fiber and I have found no reason NOT to deduct the fiber as my blood sugar responds to these flours as if they did have 2 g per 1/3 cup serving. Stir up ingredients in order listed and pour onto your waffle iron. I top it with Vermont brand sugar free syrup (about 2 g of sorbitol) and defrosted frozen berries. When it was time to do my holiday baking, I made two loaves of pumpkin bread, one with regular flour and one with Carbalose flour. The recipes were identical, which meant that I used regular sugar. This is because I wanted to know what changes the flour made that were independent of replacing the sugar with artificial sweetener. I doubled the baking soda as instructed by the Carbalose label. The result was a loaf that was denser and moister than the flour version but most definitely a bread and quite delicious. The Carbalose loaf was also sweeter than it needed to be, which suggested that I could probably have made it with a lot less sugar. This was a lower carb food you could serve to people who loathe "diet" foods without hearing a word of complaint. Even with the sugar left in, cutting out the flour made the pumpkin bread a lot kinder to my blood sugar than the unmodified version which is so full of carbs that even with insulin it tends to make me feel groggy. Now that I know that the Carbalose flour replaces regular flour well, I will try it in some other baked goods and see what happens when I combine it with artificial sweeteners. I would not use it for a recipe that needs to be light and fluffy but it works well for moister things. I also made biscuits using just Carbquik and water. They were a bit denser than regular biscuits but quite edible. The product looks expensive, but you are buying Industrial-sized boxes and bags that should last you awhile. The 3 lb Carbquik box is surprisingly large and I still have about half of it left after making at least 20 single serving recipes. I bought mine from Netrition because they host the very useful Low Carb Friends forum filled with helpful people who know a great deal about how to cut carbs and eat enjoyably. Their shipping is a flat rate of $5 no matter what you buy, so it is worth including some of the many flavors of DaVinci Sugar Free Syrup they carry in your order if that is something you use. As far as how suitable these products might be for people dieting for weight loss, I am happy to report that I have actually lost a pound or so since I started eating the Carbquik waffles for breakfast. The high fiber content leads to a feeling of fullness. It's worth noting that as is the case with all high fiber foods too much can lead to gas, so I limit myself to one serving a day, which works well for me. Two was too much. But I did not experience any hunger or cravings after adding these products to my diet. These products do contain gluten, so if you are gluten intolerant, they aren't for you. I am not wheat-phobic as are some people in the online health research community, as I believe it is the carbs in flour that cause the health problems attributed to wheat not anything specific to wheat except in the case of people autoimmune disease who are likely to have true gluten intolerance. But gluten should not be an issue for people who avoid soy and who do not have the inherited genetic profile that leads to gluten intolerance. See You After the Holidays! I'm taking a few weeks off from blogging to complete the revisions my editor at Avon requested to my upcoming novel, Lord Lightning. This is exciting work. Publication, though still many months away, is starting to feel a lot more real. But it takes a lot of concentrated mental effort to make the last small but important changes that make this novel irresistible, which is making it impossible for me to give my blog posts the kind of attention they deserve. Next week none of us will be thinking of diabetes or--in many cases, diet. So let's plan to meet again in early January when many of us will be embarking on our annual repentance diet and others, it is to be hoped, will be resolving to get better control of their blood sugar. Until then, I wish you, your families and your communities the very best for the holiday season and beyond! I wrote a couple posts last year suggesting some diabetes-specific gift ideas and several of you wrote me that you found them helpful so I'm going to reprise the earlier suggestions and add a few more. In the spirit of transparent disclosure, let me mention that some of these suggestions link to Amazon pages and if you visit Amazon using these links and buy things Amazon gives me 2-3% of the sale amount. 3. Low Carb Treats. As most of you know, most of the products marketed as being "low carb" aren't, because they contain maltitol, lacitol, and other frankenfood ingredients which will, in fact, raise the blood sugar of anyone who does not have a very strong second phase insulin response. For this reason NEVER give a product labeled "sugar free" to someone with diabetes. They raise blood sugar and taste foul. Fortunately, there are a couple low carb products that are truly low carb. a. DaVinci Sugar Free Syrups. These come in a multitude of flavors. They are sweetened with Splenda but have no additional sugars added the way that powdered forms of Splenda do. I use them as the sweetener when baking low carb treats like macaroons. I also use them when making low carb cocoa. One Tbs of syrup is the same as one Tbs of sugar when baking though you might bake recipes a bit longer to boil off the fluid. My favorite flavors are White Chocolate, German Chocolate, Caramel and Vanilla. One bottle lasts me a very long time and never goes bad. b. Not Starch. This is a mixture of fibers that will thicken gravy or homemade ice cream very nicely. It gives a slippery mouth feel you will immediately recognize as it is used in so many frozen food and restaurant gravies. 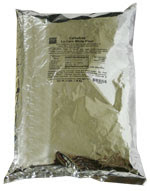 c. Protein Powder. Look for one that has no more than 2 g of carbohydrate per serving. You can use these in shakes or you can bake a bewildering selection of low carb baked goods with these. Most include artificial sweeteners or stevia. I just bought a "Natural flavor" one that has no sweetener or flavor at all, which tastes just so-so but would be good for people who have concerns (whether or not justified) about artificial sweeteners. d. High Quality Dark Chocolate. The higher the percentage of chocolate in a chocolate bar, the kinder it will be to your blood sugar. You can find many 70% and higher bars on the market today and if a person does not have problems with portion control they can make a very nice gift. Read the label and stick with chocolates that have no more than 6 grams per square if possible. e. Gourmet Cheese. People have different tastes in cheese and some gourmet cheese has become very expensive in the U.S. because of our falling dollar, so find out what kind of cheese your favorite person with diabetes likes before investing. But if you know, you can't go wrong in buying them a premium cheese. I don't mail order these, however as I have yet to find a mail order company whose cheeses weren't filled with additives. f. Steak. 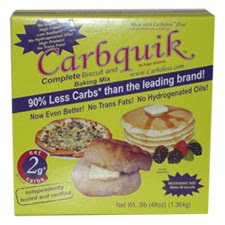 Low carb and delicious and available from mail order companies. Don't send mail order ribs or pork as they tend to arrive bathed in extremely sugary sauces. g. Fancy Nut Assortments. Full of good fats and delicious. Don't give these to someone who is actively pursuing weight loss, though, as most of us have trouble eating "just one." h. Gourmet Coffee. The very best coffee I have ever tasted is available by mail order from Dean's Beans. Dean is a real person who I've met. He is obsessive both about buying beans in ways that benefit the people who grow them and the enviornment and finding the most delicious beans available. My personal favorite is the "Half caf" blend which is 1/2 strength but richly flavored. I also like the "Rattlesnake Gutter" blend, named after a local ravine, and the "Liberation Decaf." Dean's baking cocoa makes extremely delicious cocoa when mixed with DaVinci syrup, half and half and boiling water. i. Fancy Tea. You can find wonderful tea at http://cookscorner.net. Some of the fruit blends contain pieces of real fruit mixed with hibiscus, calendula, rose hips, and other herbs. They are delicious and I have not found that they raise my blood sugar. The Apricot and blood orange pear are my favorites. If you are on a budget, you can find many delicious teas in any large supermarket or health food store. Please post your own gift suggestions for people with a diabetes in the comments! A study described in last week's Science Daily points to a problem that has been troubling me about diabetes research: the way that research relies on rodent models that are built on false assumptions about the human diseases they are supposed to model. Science Daily: Mice Holding Back Muscular Dystrophy Research? ... two major features of a key DMD [Duchenne muscular dystrophy] gene are present in most mammals, including humans, but are specifically absent in mice and rats, calling into question the use of the mouse as the principal model animal for studying DMD. This is bad news for people who have been waiting for scientists to find treatments for DMD but this kind of problem is not limited to research on DMD. A huge amount of "diabetes" research is conducted in db/db mice, ob/ob mice, the New Zealand Obese (NZO) mouse, and Goto-Kakisaki Wistar Rats. A small group of highly respected scientists have built their careers around their knowledge of these particular mice and rats and sent their students out into the academic world where they have spread the use of these rodent models. The problem is that these rodents became models for human Type 2 diabetes because of their phenotype--i.e. symptoms--matched what researchers 25 years ago thought was the phenotype of Type 2 human diabetes. They are very fat. They become fat eating high fat diets. The blood sugar of these rodents worsens when they eat fat. Low carb diets are very damaging to these rodent models. In short what we have here is a model of outdated assumptions about Type 2 Diabetes that have not been proven true in humans with the disorder. Humans with Type 2 diabetes may be fat or of normal weight. Most become fat eating high carbohydrate diets. Human blood sugars usually improve when they eat low carb diets. The reason that the rodent model does such a poor job matching human experience becomes clear when we look at the genotype of these rodent diabetes models. Their broken genes are not the broken genes found in humans with Type 2 Diabetes. The ob/ob mouse, for example, is morbidly obese as are many humans with Type 2 diabetes. However, the ob/ob mouse is obese because it has a genetic flaw that keeps it from producing leptin. This makes this mouse catastrophically hungry. But it turns out that after 6 years of hunting for leptin deficient humans, researchers found a grand total of three human families in the entire world who have the same genetic flaw as the ob mouse. Everyone else on earth who is very fat has some other genetic issue causing their morbid obesity. You would think this discovery would have put an end to the use of the ob/ob mouse in diabetes related research, but you would be wrong. The scientists who have built their careers on their expertise in using this one mouse don't give up easily. A Google Scholar search for studies conducted after 2005 where ob/ob mice are used as a model for diabetes turns up hundreds of studies. "Diabetes (db) is an autosomal recessive mutation located in the midportion of mouse chromosome 4 that results in profound obesity with hyperphagia [compulsive overeating], increased metabolic efficiency, and insulin resistance. The only problem with this model is that the genes that make the db/db mouse seem to resemble a diabetic human are NOT the genes that have been found in diabetic humans. This is the problem with all the rodent models of Type 2 diabetes. No one questions that these rodents might have insulin resistance or that they might overeat. But over the past decade the dramatic drop in price of genetic screening techniques has come up with a long list of the most common genes associated with human diabetes. In European populations the list includes genes like TCF7L2, HNF4-a, PTPN, SHIP2, ENPP1, PPARG, FTO, KCNJ11, NOTCh3, WFS1, CDKAL1, IGF2BP2, SLC30A8, JAZF1, and HHEX. Failure of any of these genes can produce diabetes, but the exact phenotype of that diabetes will vary because what is broken is different. People from non-European ethnic groups have been found to have entirely different sets of diabetic genes, like the UCP2 polymorphism found in Pima Indians and the three Calpain-10 gene polymorphisms found associated with diabetes in Mexicans. As a result the "natural history" of their "Type 2" diabetes is quite different than that of Europeans and they develop different patterns of complications than do people of European backgrounds. "Diabetic" mice and rats do not have any of these human genetic flaws but other, rodenty gene flaws that give them rodent "diabetes." This does not mean it isn't useful to explore their physiologies, only that we must always keep in mind that they are different from those of humans diagnosed with Type 2 Diabetes--just as individuals diagnosed with "Type 2 Diabetes" can differ dramatically from each other. The chances that any finding in mice might cross over and apply to humans is very slim. When these studies are reported to the media they should not be reported, as they are now, as if they applied to humans. Beyond this issue, though, lies the problem pinpointed by the Muscular Dystrophy researchers. The mouse is very different from the human being, physiologically and genetically, in ways that researchers have not probed because, face it, the people who know the most about how to study mice are precisely those whose careers come to a crashing end if mouse research ever goes out of fashion. We don't know enough, yet, about the genetic differences between rodents and people to know how the genes expressed in the livers of mice differ from those expressed in humans. Until we do, it is pointless to study what pattern of macronutrient intake causes fatty liver in mice. We don't know enough about the many genes involved in the regulation of glucose in the pancreas or brains of mice either. The Muscular Dystrophy research discovered that the genes expressed in the brains of people were significantly different from those of mice. Glucose regulation in any species involves a complex symphony of interacting feedback loops involving gene expression in the brain, liver, pancreas, muscle and gut. The chances are very high that, because of significant differences between human organs and rodent organs, the findings drawn from rodent research--which form a much more significant part of "what everyone knows about diabetes" in the medical world have led us into dangerously wrong blind alleys. The value of the low fat/high carb diet for people with diabetes was supported by immense amounts of rodent research. Unfortunately, what that research proved was that fat is a problem for rodents whose diabetes is caused by mutations unrelated to those found in humans which disorder metabolic processes quite different from those that occur in humans. It is possible that there are proteins in humans that are significantly involved in the production of human forms of Type 2 diabetes that mice don't have or that they don't use the way humans use them. By concentrating so heavily on rodent research, researchers may be missing these vital proteins and the impact of the genes that code for them. But mice are cheap, live brief lifespans, and can be "sacrificed" without causing massive protests. The students of the original mouse expert researchers have grown into a huge grant-gobbling research establishment that thrives on doing mouse research. It isn't going to go away soon. "These mutant flies show symptoms that look very similar to human diabetes," explains Dr. Pick. "They have the hallmark characteristic which is elevated blood sugar levels. They are also lethargic and appear to be breaking down their fat tissue to get energy, even while they are eating -- a situation in which normal animals would be storing fat, not breaking it down." I have friends who are highly distinguished fruit fly gene researchers and I have immense respect for the work they do, but they are doing basic science looking, for example, at the genes that produce neurons to better understand what a neuron really is. I am left scratching my head to understand how a fly that lacks blood vessels, a liver, or pancreas can be a "model" for human autoimmune diabetes. A fly with high blood sugar is not a fly with "Type 1 Diabetes." And by the same token, a fat fly that eats too much may be an interesting fly that may teach us something new about fly physiology, but it is not a "Type 2 diabetic" fly. Diabetes is a set of symptoms produced as the end result of failures at various points in a complex organism with its own evolutionary history. It is not a single condition. It is not caused by a single failure of one gene that can be explored at the level of basic science. Until doctors and the public understand this better, we will continue to be subjected to "medical truths" derived entirely from the same kind of rodent research that has already set back the treatment of the vague collection of symptoms called "Type 2 Diabetes" for decades. Interlibrary loan sent me a copy of the book, Mummies, Diseases and Ancient Cultures recommended by a knowledgeable blog commentator, but unfortunately it turned out to be the first edition published in 1980 not the updated one from 1998. I'm using an extended ILL feature to request the newer version, but meanwhile I read through the first edition and found it fascinating. Relevant to the topic of my blog here was one theme that stood out in analysis of all the ancient bodies that had been preserved through time: Ancient people, no matter what time period they lived in or where they lived, carried a significant load of parasites. The parasites most commonly found in these munmies included hookworms, tape worms and the roundworms that cause trichanosis. Besides sickening us, these parasites can make a significant difference in how we metabolize foods. The tapeworm, for example, allows people infected with it to live out the dubious fantasy of "eat all you want and never gain weight." Unfortunately, when this happens in a situation where the food supply is marginal--i.e. just about everywhere on earth before the 20th century--worm infestation can predispose people to starve to death. The roundworms lay eggs in human muscle, which probably produces inflammation, though they also can infect nerves and the brain. In either case, they have a strong effect on metabolism. Parasites get into our bodies in many ways. Some come from eating meat that hasn't been thoroughly cooked. Some are carried in water where other animals have defecated. Some enter the body from the soil. Others are transmitted by insect bites. Because parasites were such a common feature of life until very recently, it makes sense that our bodies are highly adapted to live with them. And because the loss of the usual human parasites load is so very recent, some scientists who study the development of the human immune system speculate that the current explosion of autoimmune disease is partly caused by changes in the way that the immune system develops in children whose immune cells don't encounter parasites early in life. This theory was discussed in detail in the book, Good Germs, Bad Germs: Health and Survival in a Bacterial World, by Jessica Snyder Sachs. However, while there may be something to this theory, there are plenty of other factors besides parasite exposure that also explain the increase in autoimmune diseases. And a big problem with the parasite explanation is that it doesn't explain why this explosion in diagnoses only kicked in about twenty years ago. My belief is that the invasion of our food supply by soy protein and its ability to damage the gut and make it permeable to proteins like gluten is probably a better explanation for the changes seen in the past generation. I've discussed that theory HERE. Still, there is no question that the elimination of parasites from our system is a huge change in human health and one that only took place in developed nations during the past century. Caleb Finch, a gerontologist from the University of Southern California (USC), has come up with an intriguing theory, published in December issue of Proceedings of the National Academy of Sciences that links the loss of our parasite burden with the increase in heart disease and Alzheimers. His theory explains the fact that humans have much longer natural lifespans than apes, as a result of their having developed new gene variants that allow them to tolerate the higher burden of inflammation that comes with eating a meat-rich diet. "Over time, ingestion of red meat, particularly raw meat infected with parasites in the era before cooking, stimulates chronic inflammation that leads to some of the common diseases of aging,"
From reading the Mummies book, I would correct this statement, because the data reported in the mummies book makes it very clear that ancient meat-eating humans who did cook their food still carried a high load of meat-borne intestinal and muscle parasites. But Finch goes on to explain that one way humans adapted genetically that allowed them to flourish with a higher burden of meat-borne parasites is by evolving a human-unique form of Apo(E). In addition to differences in diets between species of primates, humans evolved unique variants in a cholesterol transporting gene, apolipoprotein E, which also regulates inflammation and many aspects of aging in the brain and arteries. Other primates who do not have the human forms of Apo(E)develop heart disease very quickly if they eat diets rich in meat, an argument that is often cited by those promoting vegetarian diets. Still, unlike gorillas who develop heart disease in just a few years after adopting a meat rich diet, humans eating meat-rich diets do not develop heart disease until they are in middle age-- after they have reproduced, which Finch links to the human-only Apo(E) variant. And later-onset heart disease because it happens after reproduction does not impact evolution. Finch does not pursue this point, but it strikes me that this argument suggests that the loss of the usual human parasite load may also partially explain why the incidence of heart disease has increased over the past century--the period in which humans for the first time cleaned up water supplies and eliminated wild meats with their high parasite load from their diets. It is possible that when the immune system is not kept busy dealing with a high level of inflammation caused by invading parasites it is more apt to attack cardiac tissue. Recent research suggests very strongly that heart disease is an inflammatory condition. There are also intriguing hints that morbid obesity may be linked to inflamed fat tissue. None of these theories are fully fleshed out. Though Finch's finding that only humans have the special forms of Apo(E) required for primates to metabolize meats should give us another reason to ignore ALL diet research performed in rodents or other non-human species because these other species do not carry the human adaptations to meat eating that Finch suggests are a large part of why humans have evolved so successfully. Beyond the changes that allow us to eat parasite-infested meat safely, there are probably human physiological adaptations to parasites that impact on our ability to store fat in an environment were we are competing with parasites for the nutrients in our food. This suggests to me that followers of the so-called Paleo diet cannot faithfully reproduce the supposed health effects of that diet unless they have taken on the load of intestinal worms early in life and allowed them to mold their immune systems and other physiological parameters. Even adding these worms in mid-life won't help because, as Sachs' book explains, the balance of the kinds of T cells produced by the immune system throughout life seems to be shaped by the antibodies transmitted from the mother (infected with parasites in a true Paleo state) and the organisms the young creature encounters early in life. Without a gut full of worms no one is eating a true Paleo Diet. Which is another reason to avoid extremism in dietary theory and to eat a diet that resembles that which your long lived ancestors in the past 150 years were eating. The Colonial era graveyards in rural New England where I live are filled with graves of people who lived into their late 80s and 90s. Those who died young typically died of infectious disease, child birth, or, surprisingly frequently, fire and drowning. We know a great deal about their diet. It was made up of fresh meat in summer and fall, salty preserved ham, salt beef, and lots of salt cod the rest of the year, dried fruit, corn meal, wheat, squash, turnips, and potatoes, preserves made with sugar, and milk, butter and cheese. Science Daily: Nanoparticles Used in Common Household Items Cause Genetic Damage in Mice. Nanoparticles are extremely tiny particles, which are found rarely in nature--for example in metallic ceramic glazes--but they only came into prominence over the past 15 years when modern manufacturing technologies made it possible to make them in bulk. They are used for hundreds of applications, from enhancing the sparkliness of cosmetics, to making fabrics stain resistant, and to delivering drugs. These particles are so tiny they can easily move through cell membranes in ways that normal sized particles cannot. But because many of these new nanoparticles are made out of commonly occurring minerals considered safe--like the titanium dioxide which was the subject of the above study--they moved out of the lab into consumer products without the kind of extensive safety review they should have been given. The study above found that when mice drank water with titanium dioxide nanoparticles in it, the particles concentrated in their organs. Their bodies have no way to eliminate them since these kinds of particles are very rare in nature. Worse, because these nanoparticles are so tiny they can pass through cell membranes, the research cited above found they caused "genetic instability" and DNA deletions. They also caused inflammation. There are many rodent studies that must be viewed sceptically, but that research is inevitably research involving high level functions like the balance of macronutrients in an animal's diet. But this research looks like it would apply to any mammalian cell. And that means these same water-borne particles that get into the mouse organ also pass through human cell membranes with devastating effect. .An study published this past March found that these particles are being discharged into waste water and making their way into the environment in amounts that have the potential to damage life forms at all levels. ... the particles are washed down the drain in homes as people bathe and end up in municipal sewage treatment plants. From there, they can enter lakes, rivers, and other water sources where microorganisms serve essential roles in maintaining a healthy environment. She also studied survival of Escherichia coli (E. coli) bacteria when exposed in laboratory cultures to various amounts of nano-TiO2. She found surprisingly large reductions in survival in samples exposed to small concentrations of the nanoparticles for less than an hour. ... cannot tolerate silver, copper oxide and zinc oxide nanoparticles. Toxicity occurred at levels as low as micrograms per liter. That's equivalent to two or three drops of water in an Olympic-sized swimming pool. Because labels only indicate the chemical name of an inorganic substance, not the form in which it occurs in a product, you have no way of knowing if the drugs, cosmetics, or supplements you use contain these particles. Nor is titanium dioxide the only nanopartcles that is being used in industrial quantities. Nanoparticle versions of silicates and other metal oxides are everywhere. Silver nanoparticles are used in antibacterial applications. Nanoparticles are used in clothing to make socks resistant to odor. Wash the socks and particles enter the water supply. They are in sunscreens. They are in stain resistant fabrics. The nanoparticle business is huge and the companies profiting from selling these "high tech" substances are not going to give them up without a fight. Only the big chemical companies and their customers know what other nanoparticles might be in products you buy. Clothing, carpet, and furniture are likely candidates, given the increasing use of nanoparticles in fabric. Nanoparticles in fabrics and cosmetics supposedly do not go through the skin, but that should not make you feel safe because of the way they eventually reach groundwater when you bathe. And because they are also being added to pills and perhaps foods none of us can feel safe. A quick scan of my calcium supplements shows that they contain silicon dioxide--low on the list of ingredients, which suggests that it occurs in a small quantity. Silicon dioxide is more familiar to us under its common name, "Sand." Given the lack of grittiness in my calcium pill it's likely that this is a nanoparticle introduced to make the supplement look better. I can't tell you what is in my metformin because there is no requirement that the drug company furnish me with a list of ingredients. However, it is very possible it too contains a nanoparticle introduced to make its whiteness look "purer." The history of asbestos gives us a good idea of how long it takes to get a dangerous substance out of our environment--decades after lab research has clearly defined its toxicity. Asbestos was mostly used applications where it could be easily identified, not in food, clothing, drugs, and cosmetics. Given the weakness of our regulatory bodies and the strength of the chemical industry, chances are that what we have here may be an ecological and medical catastrophe that may dwarf anything we have hitherto seen. It will take a decade or two for the effects of nanoparticles to become so obvious even the chemical industry must admit they are real. Because they are so universally distributed, it may be very difficult to link them to the effects they create. With every new piece of research pointing to the dangers, the chemistry industry will respond, "More research needs to be done" the way they did with asbestos and the way that the cigarette companies did with tobacco. By the time the danger is understood, these particles will have dispersed through our environment and our bodies in ways that may be irreversible. Did I say this story was scary? That word is far too weak.